I love this genre. And my favorite authors are Kathy Reichs and Patricia Cornwell. Have read Reichs' Deja Dead. 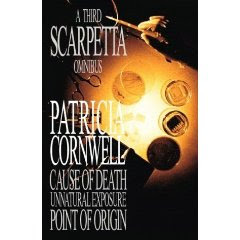 Also read Cornwell's A Third Scarpetta Omnibus: Cause of Death, Unnatural Exposure, Point of Origin.